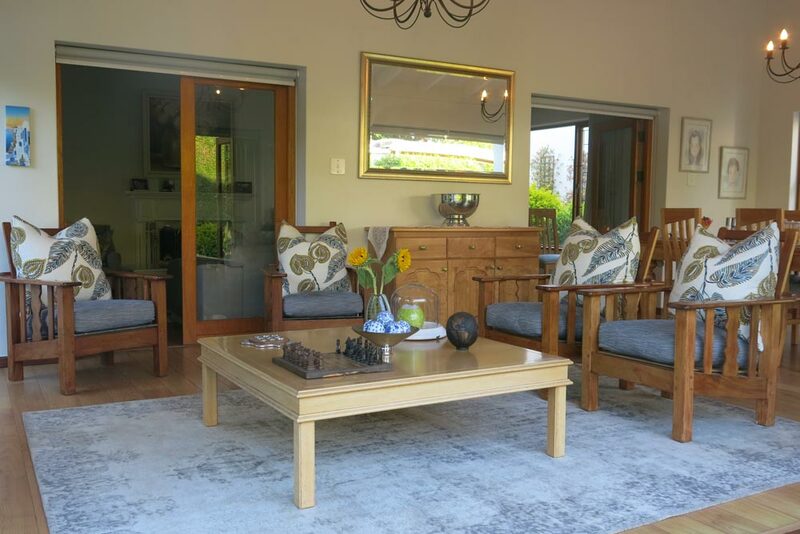 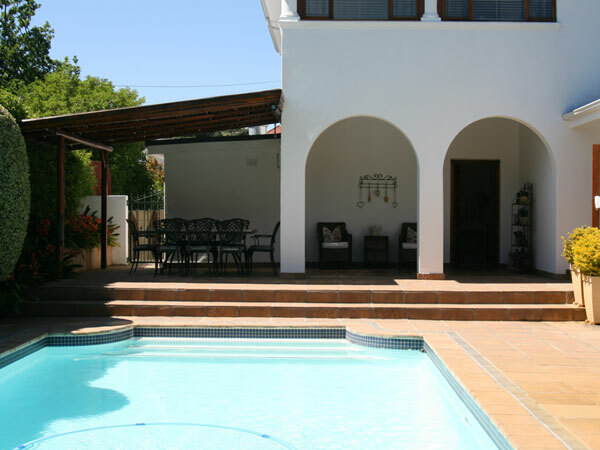 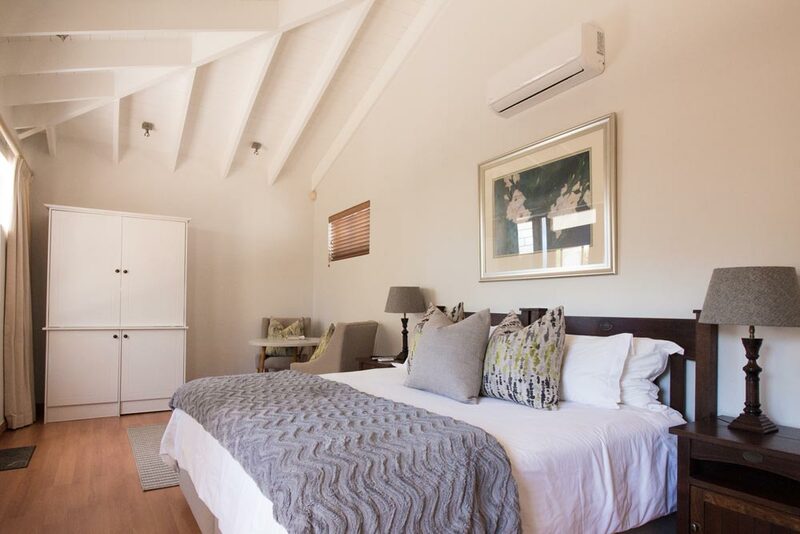 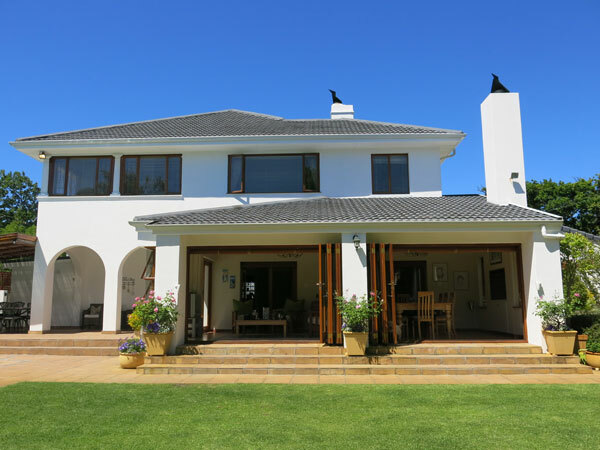 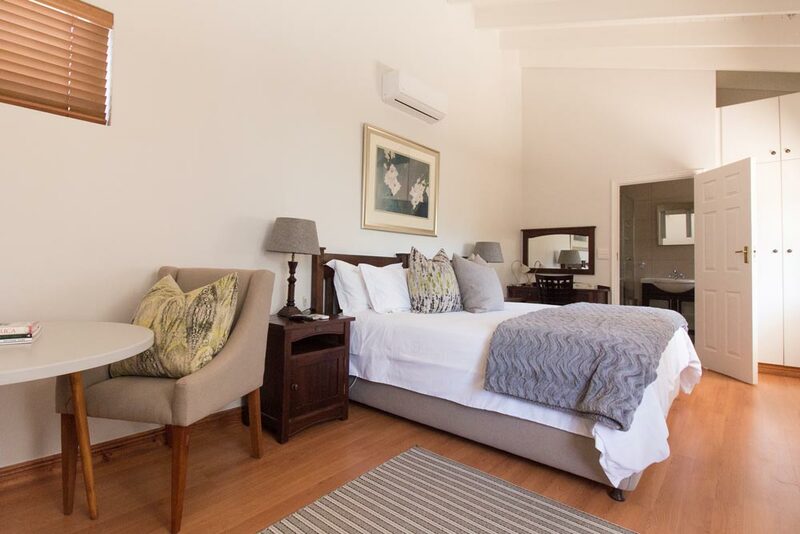 Oakvale Lodge, established in 1996, is a 4 Star Guest House in Rondebosch offering bed and breakfast accommodation to business and holiday travellers. 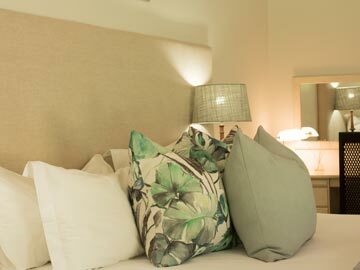 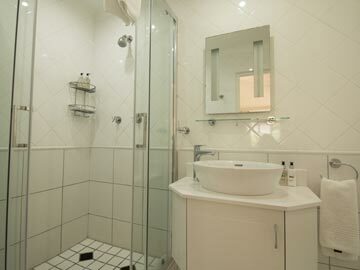 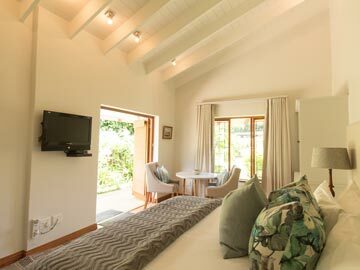 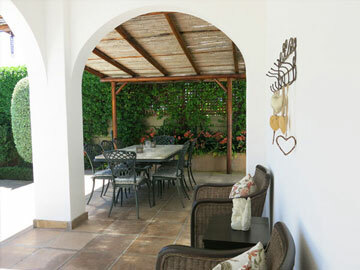 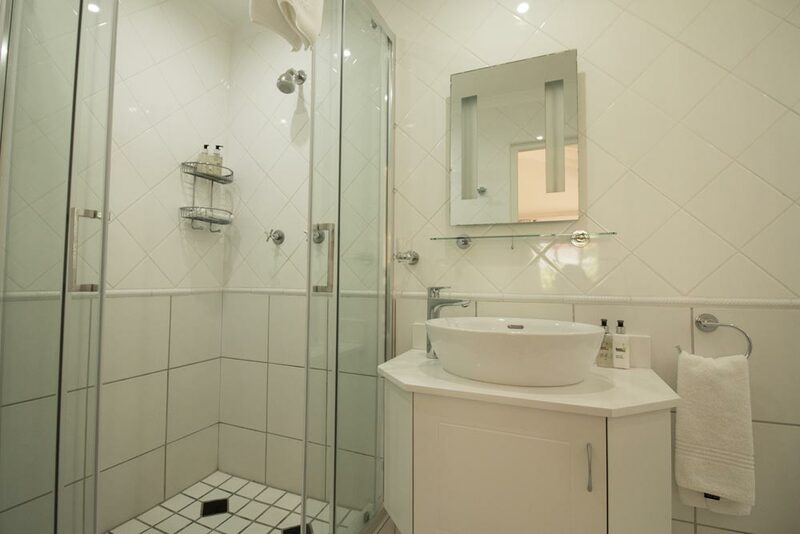 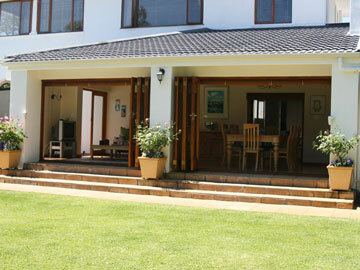 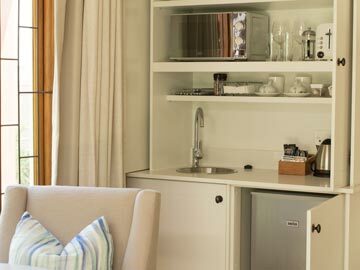 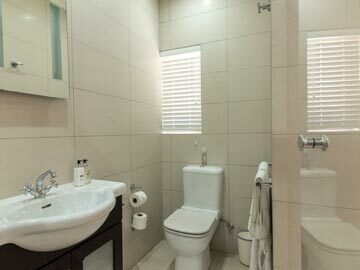 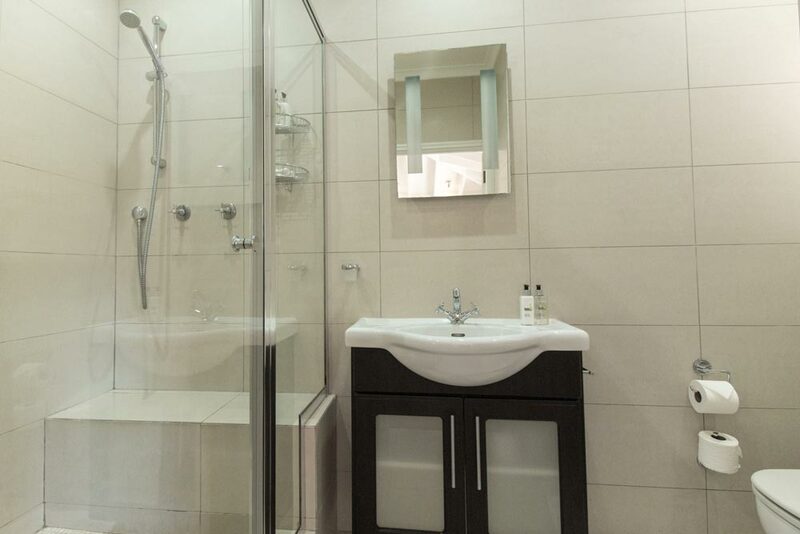 The 2 spacious en-suite rooms have separate entrances and secure parking is available behind remote controlled gates. 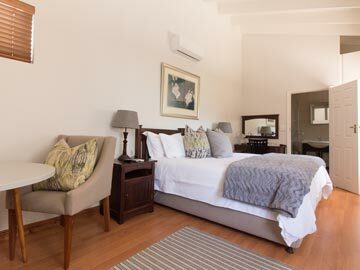 All our rooms are on the ground floor with private entrances, airconditioners, 100% cotton percale linen, fluffy 635gsm towels, individual DSTV decoders (Multichoice Premium Hotel Package including all 8 Supersport channels), flat screen television, hairdryer, free optic fibre wifi and a fitted kitchenette with under counter fridge, microwave, induction hot plate, toaster, kettle, crockery and cutlery. 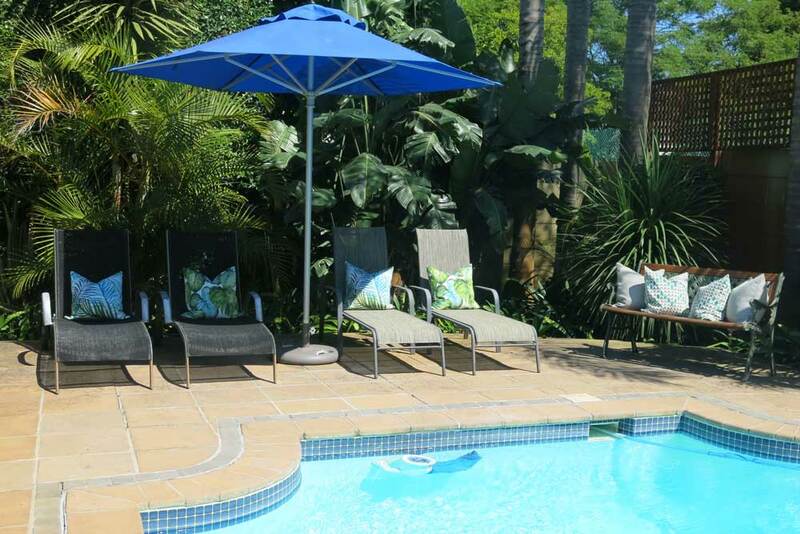 Oakvale Lodge Guest House - Cape Town - is a large family home in the heart of the Golden Mile in Rondebosch and offers guests true Home-from-Home accommodation for travellers to the "Mother City", in a comfortable and relaxed environment with personalised, friendly service provided by your hostess, Dalene du Plessis. 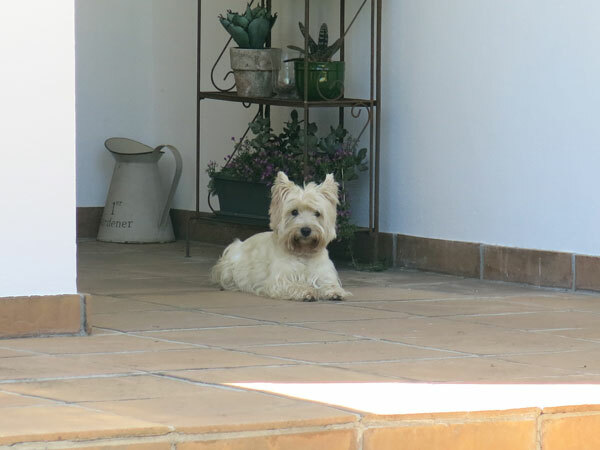 There are 4 friendly Westies on the property who welcome guests enthusiastically but are trained to not enter guest rooms. Additional filtered & treated borehole water supplements the municipal water supply to ensure a comfortable stay. 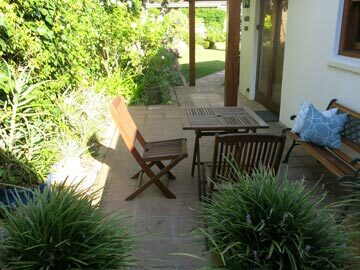 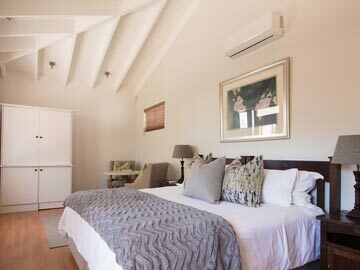 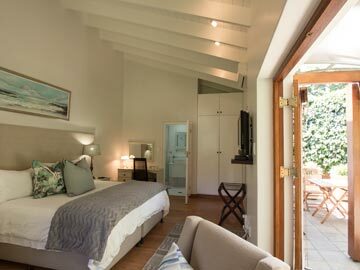 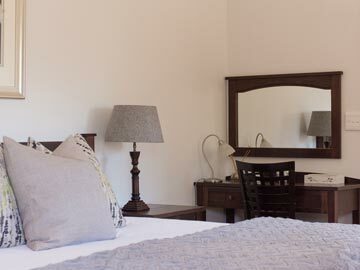 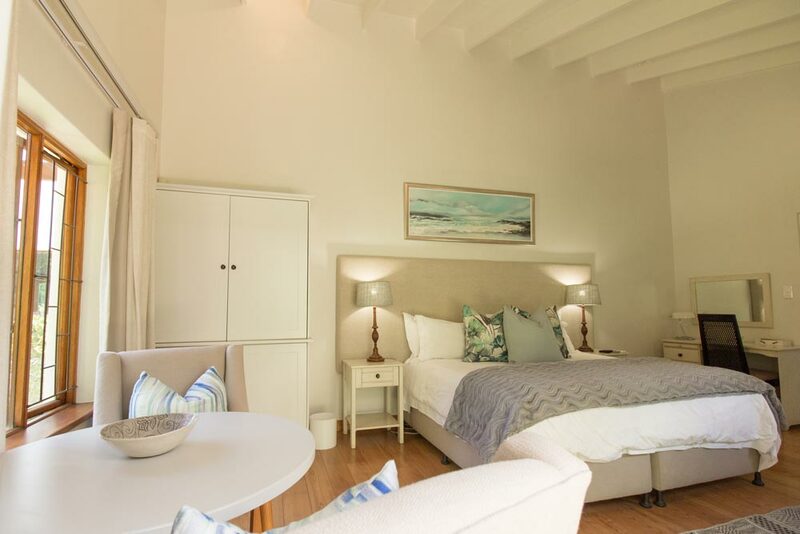 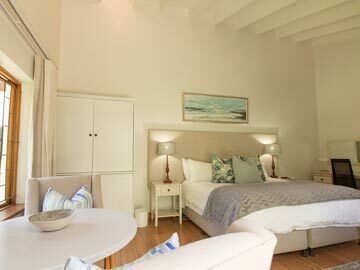 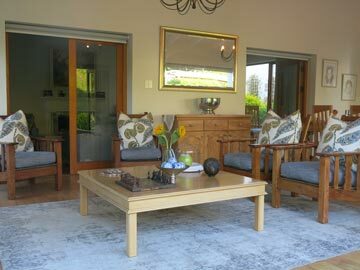 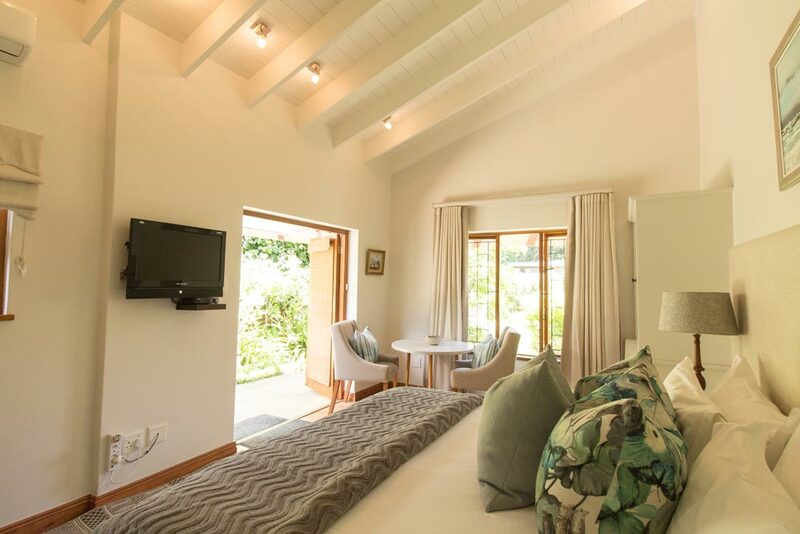 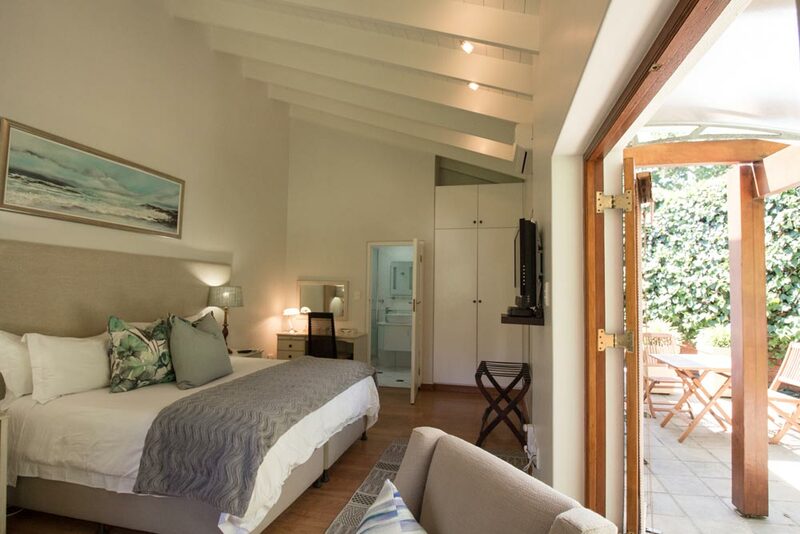 The beautifully maintained, spacious gardens of Oakvale Lodge Guest House provide spectacular views of world famous Table Mountain from the Devil's Peak side and the sparkling, salt water swimming pool is easily accessible from all the guest rooms. 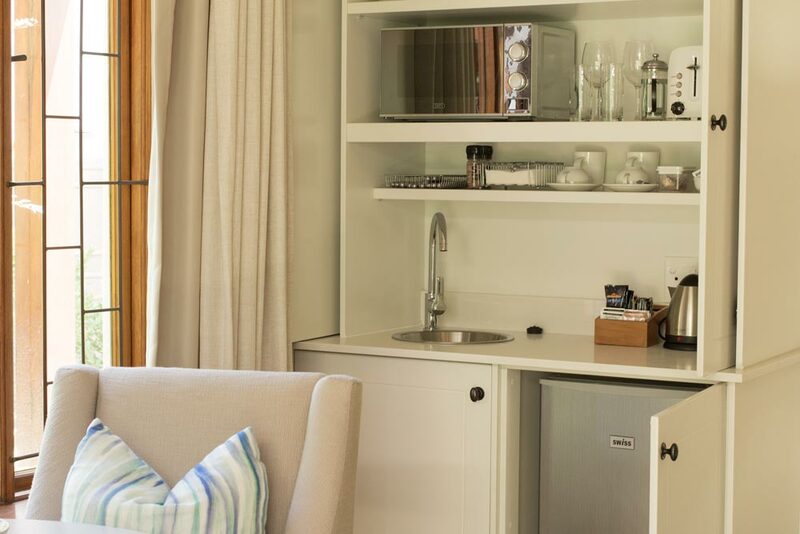 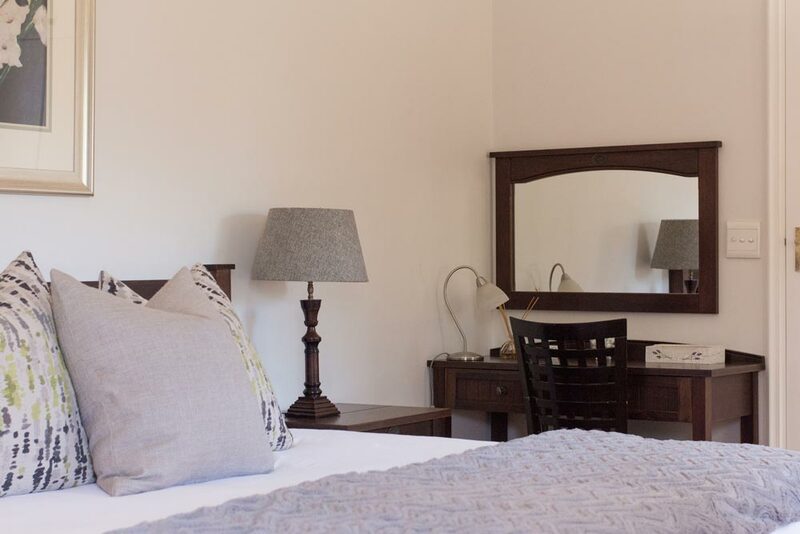 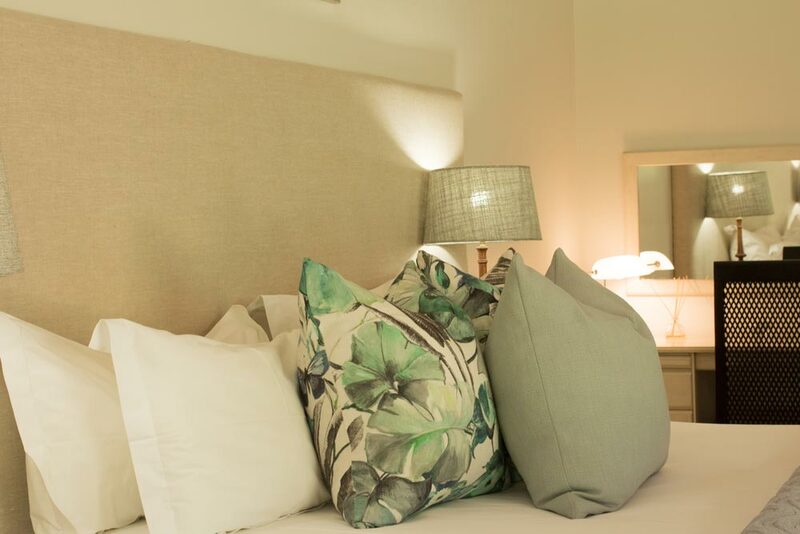 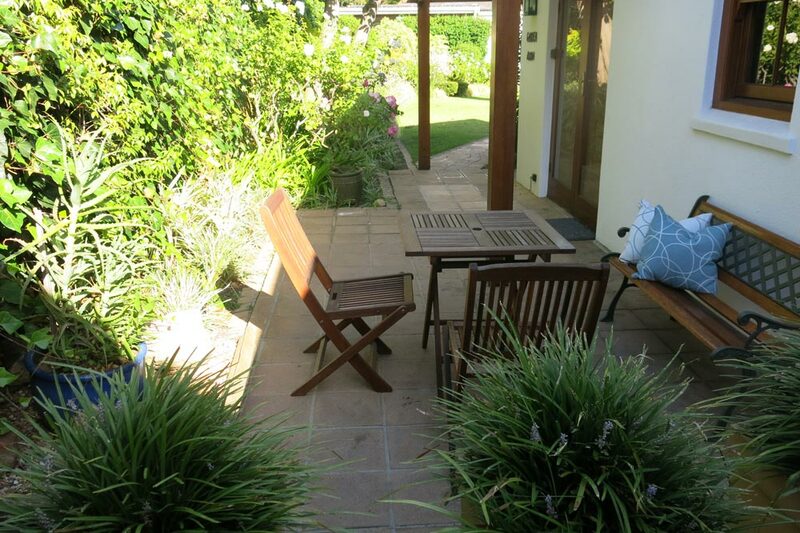 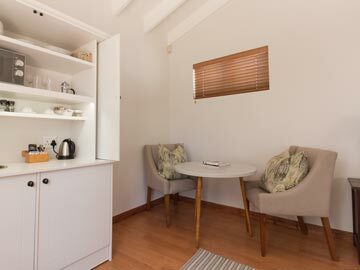 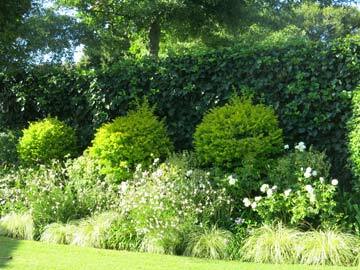 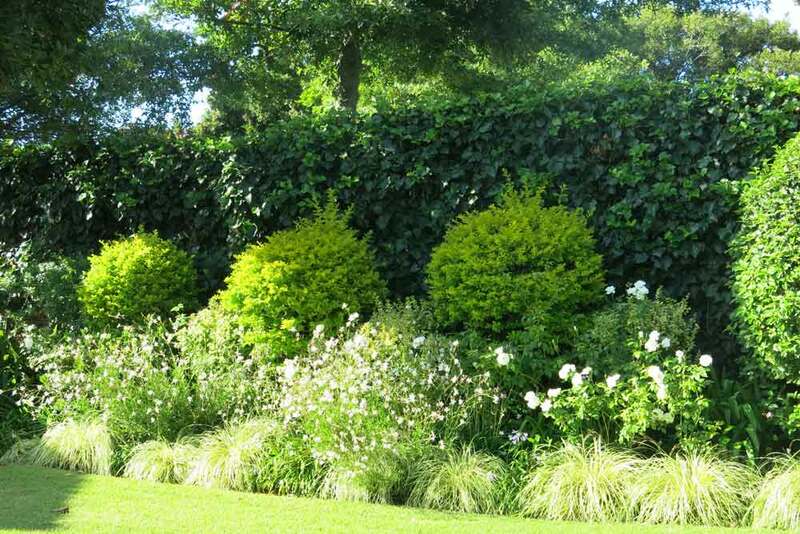 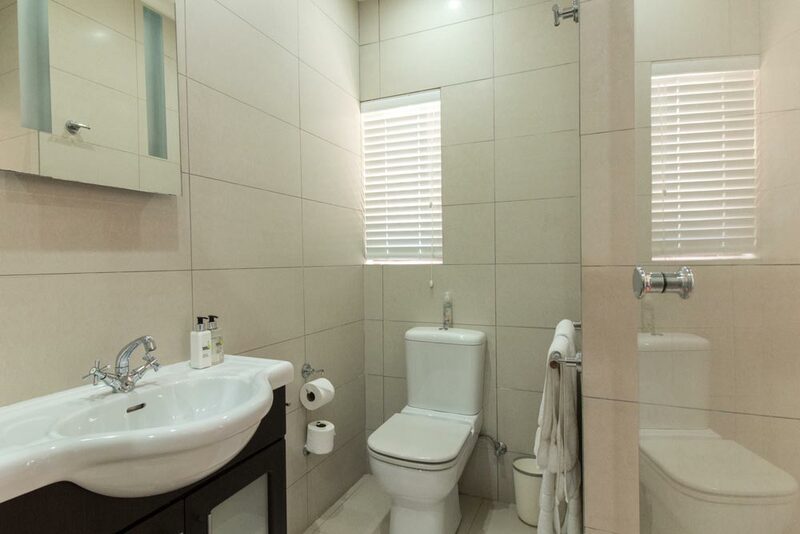 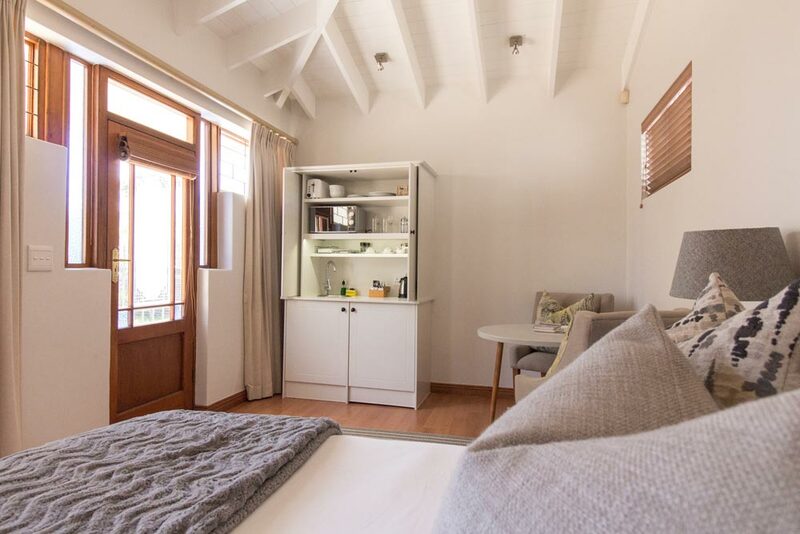 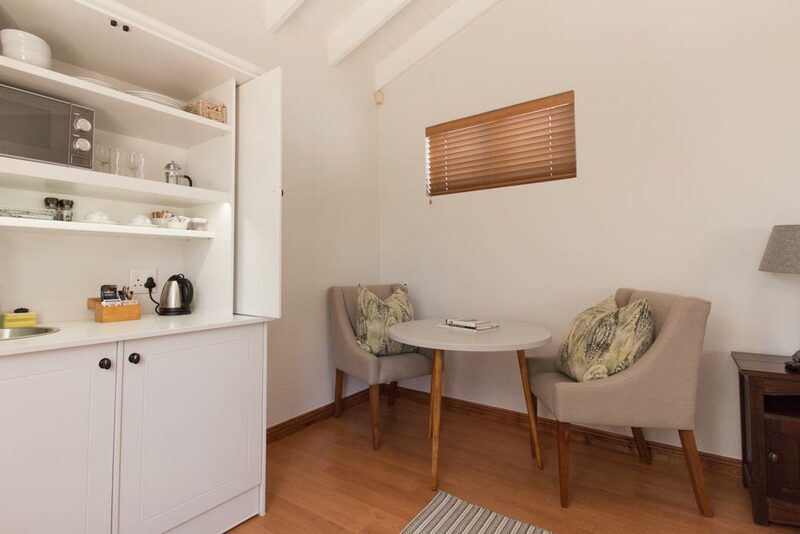 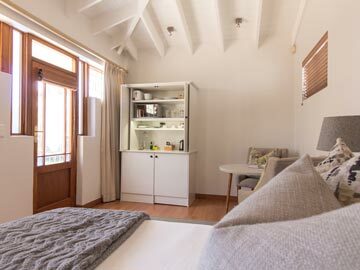 We are ideally situated for easy access to the City Centre, UCT, major highways, Newlands rugby and cricket grounds, and many other popular tourist attractions including the Kirstenbosch Botantical garden. 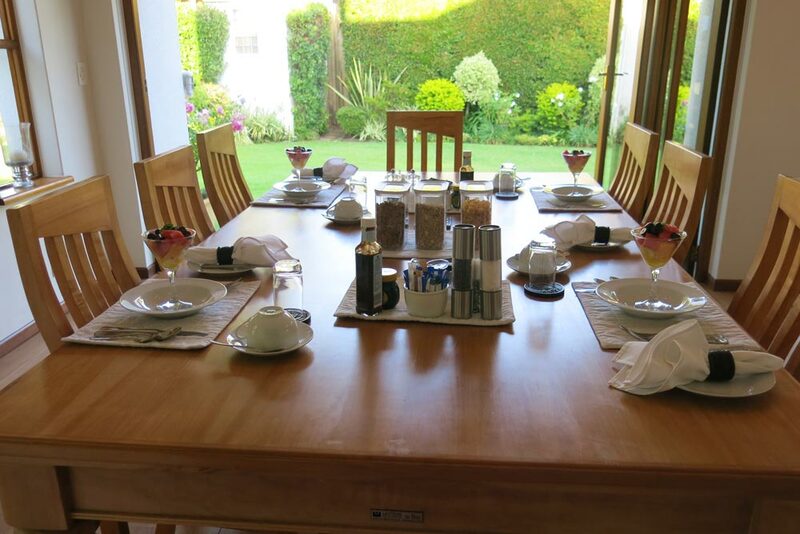 A large number of excellent restaurants are within just a few minutes' drive and we will be happy to offer advice. 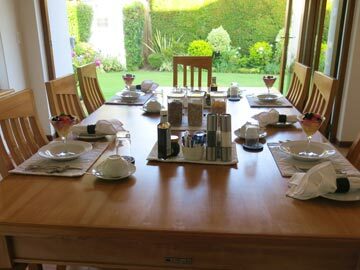 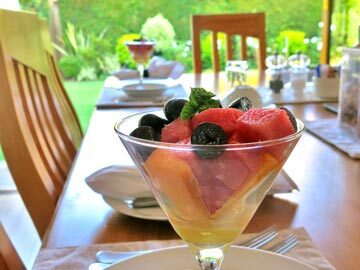 A Full English or Health Breakfast is served in the dining room. 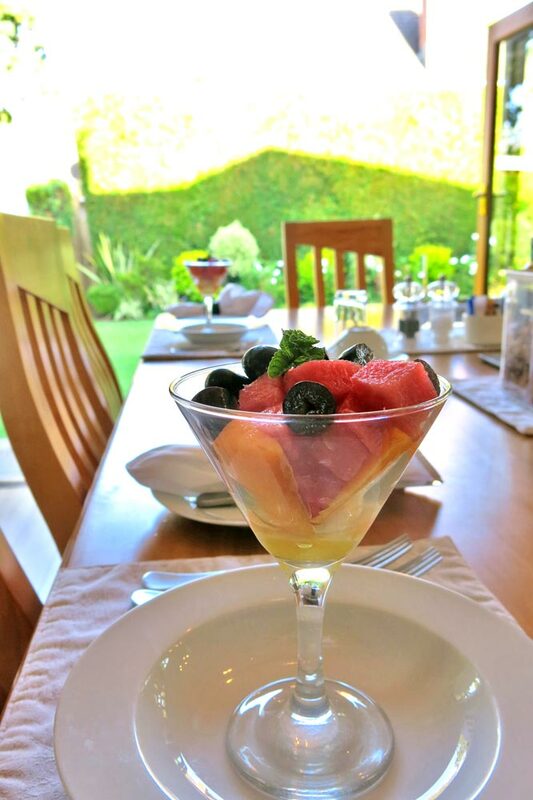 A health breakfast can be provided in the room for very early departures. 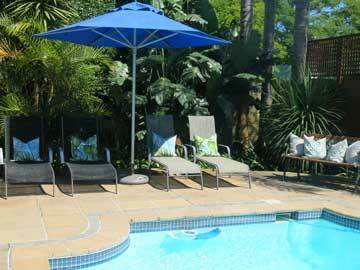 Please use the following form to enquire about or book your accommodation with us directly. 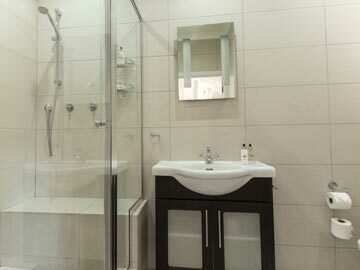 Personal information is only used in our communications with you and is never sold or otherwise provided to any third parties. 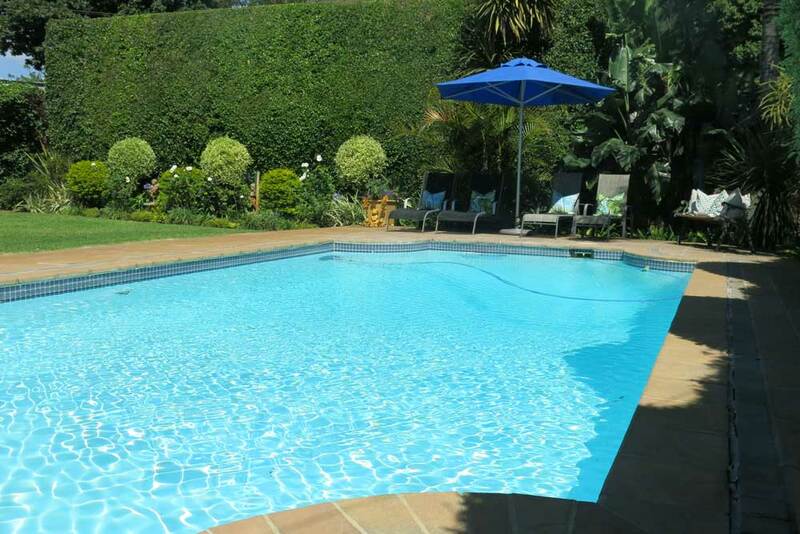 Please click the "I am not a robot" tickbox in order to authenticate your submission.